Book A Private Boat Tour! Charleston’s inlets and estuaries demand to be explored. Book a private boat tour to experience it for yourself! Offering a range of private boat charters in Charleston, SC, Therapy Fishing can give you an unforgettable day on the water. Explore sample itineraries below, and book today! *Note: Our boat can accommodate up to 6 guests. Charleston’s harbor has quite a reputation, and with good reason. Home to major international shipping operations, historic sites like Fort Sumter, and an abundance of wildlife, it’s tough to think of a more picture-perfect cruising destination. With Charleston harbor tours from Therapy Fishing, you can enjoy a truly relaxing day or evening on the harbor. 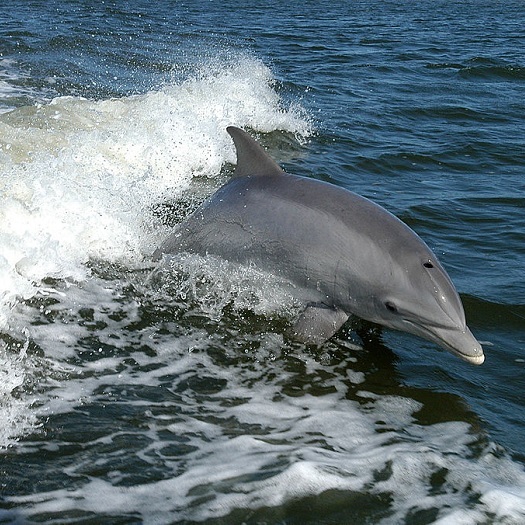 With an abundance of marshes, creeks, and of course, the Atlantic Ocean, South Carolina’s lowcountry is a terrific natural habitat for dolphins. On a guided, locally-led dolphin tour, you can watch as dolphins cruise the harbor, relax in quiet estuaries, and even herd their prey into shallow creeks. Therapy Fishing’s Captain Adam has years of experience navigating Charleston’s waterways and can take you to locations most frequented by dolphins. Charleston’s panoramic vistas and marsh plains combine for truly breathtaking sunsets. Therapy Fishing can help you enjoy them in high style. On Therapy Fishing’s luxurious vessel, you and your guests can take in the sea breeze, enjoy a delicious beverage, and relax in full view of some of the East Coast’s most famous sunsets. Book a sunset cruise today! The private boat tours noted above are just some of the ways you can enjoy your time on the water. We are happy to work with you to create custom itineraries for private boat charters. Experience the waterways of Charleston your way. Cruises can be designed around specific destinations or just a relaxing day on the water. With the ample variety of cruising destinations and activities in the area, Therapy Fishing is pleased to offer fully tailored itineraries. Whether you want to see historic sites or just go swimming on a private sandbar, we can make it happen. And, of course, we also offer personalized fishing trips that are unlike any other in the area. Inshore fishing, harbor fishing, offshore fishing (within 30 miles), and even fly-fishing tours are all possibilities. No matter how you choose to experience the water, Therapy Fishing offers some of the best private boat charters and tours in Charleston, SC. Book your outing today!